Roy Dittmann, OMD, MH has dedicated his professional life to evolving an integral organic approach to prevent birth defects and optimize fetal brain development during the perinatal period – the most powerful time to impact human development. 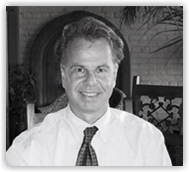 Since earning his doctorate in Oriental Medicine and his masters in Herbology, Dr. Dittmann served as Official Team Doctor in the Olympics, and was featured in a “Doctor to the Stars” article in Vogue magazine in 1997. Starting in the late 1990s, he founded two biotech companies, which licensed technologies from the University of Illinois and University of Texas, capable of delivering stable, non-refrigerated, non-injectable drugs to prevent AIDS and other infectious diseases in remote villages. The research was featured at the United Nation’s World Summit on Sustainable Development in 2002. As early as the late-1980s, Dr. Dittmann forewarned health professionals and the public that our existing diet and lifestyle trends would lead to an exponential rise in autism, ADD, birth defects, and infertility. His Brighton Baby book series is designed to coach couples on how to reverse these trends and conceive, birth, and raise extraordinary children... organically. Find out more about Dr. Dittmann and Brighton Baby in Brighton Baby Book One: The Complete Guide to Preconception & Conception.